Pretty happy model lying in comfy bed alone and watching smartphone happily while relaxing in morning time before waking up. 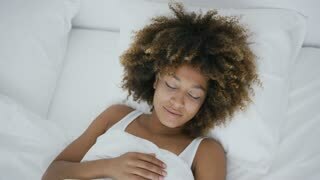 Young wonderful woman with curly hair lying in bed with eyes closed and stretching happily while awakening and dreaming. Human fetus sleeping in a womb closeup. Blue background. Young ethnic model lying on comfortable bed looking content while alarm clock ringing on small table near awakening. 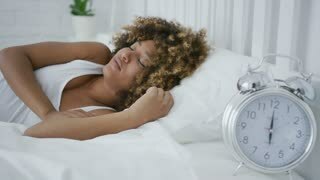 Beautiful woman wakes up in bed, a healthy dream. Young Man in Bedroom Waking Up in the Morning. 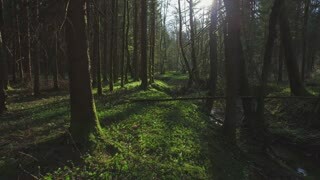 Good morning. The girl is engaged in the morning procedures in the bathroom. 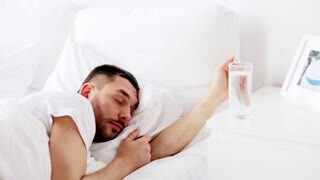 Man sleeping and waking up alone in the bed, close up of face. Headshot of adult caucasian male person in his 30s with head on pillow in the morning.